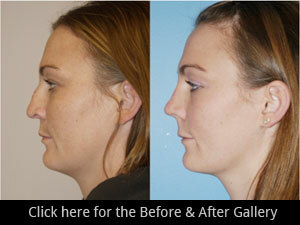 Dr. Sidle is one of the leading septo-rhinoplasty surgeons at Northwestern Memorial Hospital in Chicago. Because of his double board certification by both the American Board of Facial Plastic and Reconstructive Surgery and the American Board of Otolaryngology-Head and Neck Surgery, he is often consulted by other surgeons in cases of unsatisfactory rhinoplasty outcomes. These are especially difficult cases as both appearance and breathing of the nose can be affected. Dr. Sidle has accepted cases from all over the country, and has even performed revision rhinoplasty on patients whose original surgery was performed outside the U.S. Question: What are Dr. Sidle’s qualifications? Answer: Dr. Sidle is board certified in both Otolaryngology-Head and Neck Surgery and Facial Plastic and Reconstructive Surgery. He did his surgical residency training in Otolaryngology-Head and Neck Surgery at Northwestern University Medical School in Chicago. Dr. Sidle completed his specialty training with a fellowship in Facial Plastic Reconstructive Surgery at the University of California, San Francisco. In 2005, Dr. Sidle was appointed as Director of the Division of Facial Plastic and Reconstructive Surgery in the Department of Otolaryngology – Head and Neck Surgery at Northwestern University. Question: What is the most common thing patients say about their prior surgeon? Answer: Dr. Sidle most commonly hears the following: “I thought the doctor understood what I wanted. But he did something entirely different from what I asked! It was as if we never had a conversation!” When you see Dr. Sidle as a patient, he listens to your concerns, what you want fixed and what you don’t want fixed. Then, he may undertake computer imaging with you, so that you and he can agree on a shared surgical goal. Along with his office notes, Dr. Sidle refers to these pictures throughout surgery. Undergoing revision rhinoplasty is a difficult decision. Dr. Sidle understands that you are already disappointed, and you are likely afraid of further surgery. Selecting a surgeon who specializes in rhinoplasty and, in particular, revision surgery is your best next step in the healing process.